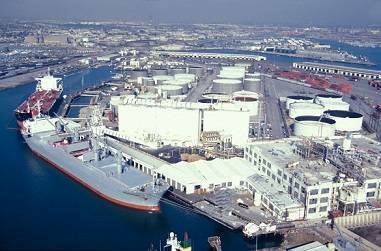 Mayor Antonio Villaraigosa announced the signing of an agreement with Yang Ming, a marine transport company, to extend its lease at the Port of Los Angeles for an additional nine years. Yang Ming’s current lease at the West Basin Container Terminal ends in 2021; with this agreement, it extends to 2030 and represents additional port revenues of between $365 and $525 million, depending on cargo volumes. In conjunction with the lease extension, Mayor Villaraigosa signed a Memorandum of Understanding Tuesday in Beijing to expand and modernize the Yang Ming terminal facilities at the port. As part of the agreement, the Port will invest $122 million in improvements at the terminal, including construction of a new 1,260 linear foot wharf at Berths 126-129, dredging to a depth of -53 feet at the newly constructed wharf, and expansion of the West Basin Intermodal Container Transfer Facility. The West Basin Container Terminal is a partnership between Yang Ming, China Shipping, and Ports America. China is Los Angeles’ number one trading partner, representing 39.4 percent of L.A.’s total global trade numbers. The export sector supports 312,677 local production jobs, and every $1 billion in new exports creates more than 6,000 good jobs for Angelenos. In 2012, China’s total trade with the L.A. Customs District was $159,261,157,840. Los Angeles has made significant investments in its infrastructure in order to remain competitive in the global economy. The $122 million modernization of the Yang Ming terminal facilities will complement the Port’s $1.2 billion investment to update terminals, increase rail capacity, and deepen the main channel to allow ships to reach a 53-foot depth and increase the seaborne trade coming through L.A.
Mayor Villaraigosa traveled with executives from the Port of Los Angeles, Los Angeles World Airports, and the Los Angeles Tourism and Convention Board to Beijing, China May 26-29, 2013. During this trip, Mayor Villaraigosa met with Chinese President Xi Jinping, Beijing Mayor Wang Anshun, Vice Minister Xia Xinghua of the Civil Aviation Administration of China, Air China President Cai Jianjiang, and Dalian Wanda Chairman Wang Jianlin. The delegation also held events designed to boost tourism to Los Angeles and encourage companies to locate in LA and invest in our local companies.